There are many heating systems available on the market, however, when you seek for advanced and high-end comfort, hydronic systems are the most recommended ones by many experts. When it comes to comfort and evenly distributed warmth throughout the surfaces instead of just warm air, hydronic systems are the ultimate choice. Hydronic heating systems are particularly versatile in their range of benefits and comfortable, economical as well as eco-friendly too. In these hydronic radiant systems, hot water is channeled beneath the surface through tubes in the floors, ceiling, and walls. This can be done to warm your cool as well as to cool and compared to air heating offers you an advantageous edge as well. 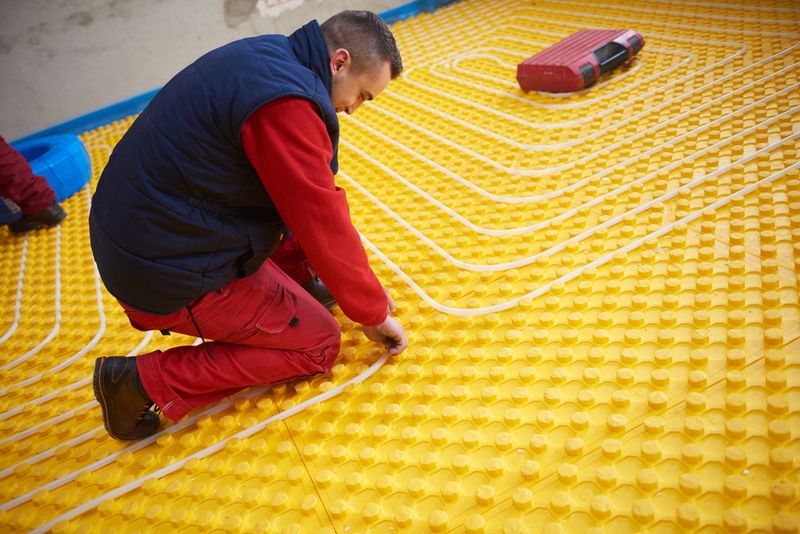 With radiant heating systems, it is experiencing warmth in a quiet harmony with no start or off sounds, fan noises or even any sort of duct work. For those who have allergies to dust and particles can feel safe because hydronic systems encourage low circulation level. Along with the air within the home, even the surfaces are heated, and there is a comprehensive feeling of warmth. Safe and comfortable especially for children and older adults. You can distinctively create different zones within your home and regulate the heating of each zone consequently. You can even set the required heating temperature of the floors as per your optimal comfort level with the help of the controlling panel. 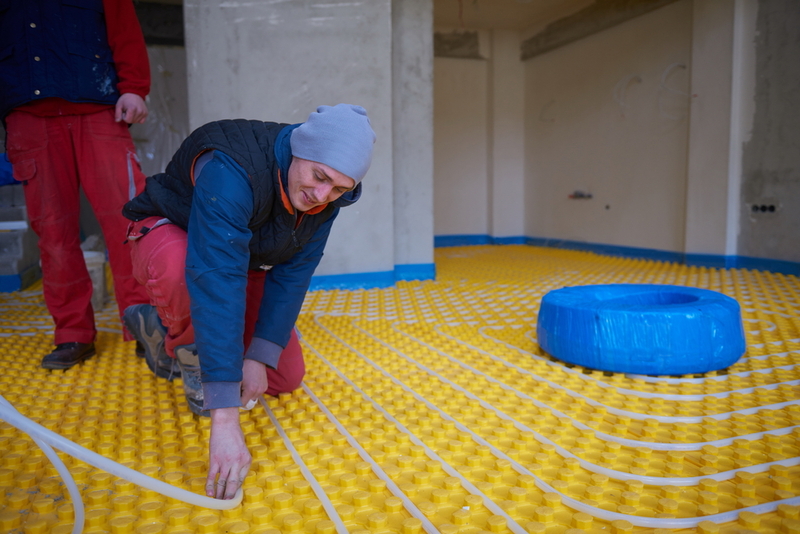 When comfort is your priority then opting for hydronic radiant systems is the best solution for your requirement since there is no compromise with comfort. You can accordingly regulate the temperature and heating level of each room or different zones, and it can be particularly distinguished in this system. Like for children’s room, needs to be warmer and cozy, while the living room area can be set as per standard requirement. Besides this hydronic system also eliminates the need to keep the doors closed to trap heat. Heat is radiated either equally everywhere within the home as per your desired temperature setting. Not only the air within the home even the floors are also warms, cutting off those common nightmares of seeing your babies walking barefooted on cold floors. While forced air heating systems serve as an additional agent in sucking out the moisture within the home as well as your skin, hydronic systems help you to sustain the humidity level accordingly to feel rather comfortable. The forced air heating system pushes warm air around the home which encourages accumulated dust and allergens to flow through the air. This can boost up allergies, sneeze, breathing difficulties, etc. 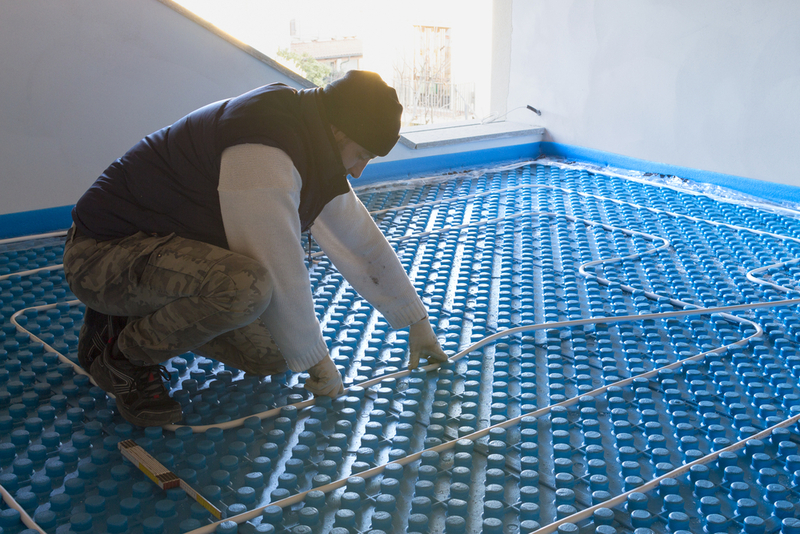 However, in case of radiant heating, there is no chance since the system is not dependent on the flow of warm air. Energy efficiency which means consumption of low energy is one of the prime concerns nowadays. Besides, moderate- consumption of energy also helps you to save a lot throughout your life on your regular energy bills. Since water is a better conductor of heat compared to heat, the water which is channeled through tubes is easily heated and also retains heat more than air. Moreover, unlike air heating systems hydronic systems do not create air pressure by heating up the air directly, leading to escape of hot air through gaps, leading again to loss of energy. Rather, in a study, it has been shown to save 20 to 40% more energy compared to other heating systems. Besides, deferring from the conventional air heating mechanism of heating it also creates secondary carbon emissions contributing to an eco-friendly environment.